With a tightly curated menu of Sichuan and Yunnan cuisine, signature flavor combinations and original cocktails, Plenty of Clouds is a new restaurant and bar in Seattle's Capitol Hill neighborhood that is, at heart, a mom-and-pop shop. “Yes,” I said, “We got disconnected.” She apologized. “My daughter pushed the mute button.” Any working parent can identify with her chagrin. 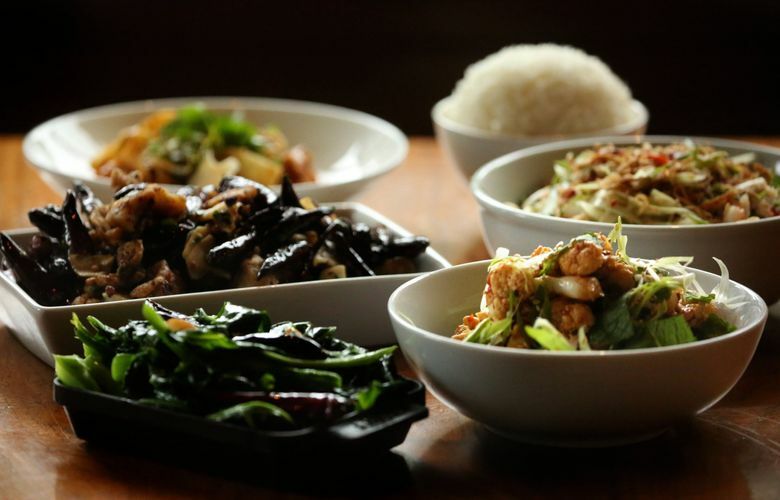 There’s plenty to like about Plenty of Clouds, but one of the nicest things about this new Chinese restaurant and bar in the former Anchovies and Olives space on Capitol Hill is that, at heart, it is a mom-and-pop shop. The sort of place where they remember customers they’ve seen before and may even recall what you ate the last time you were in. 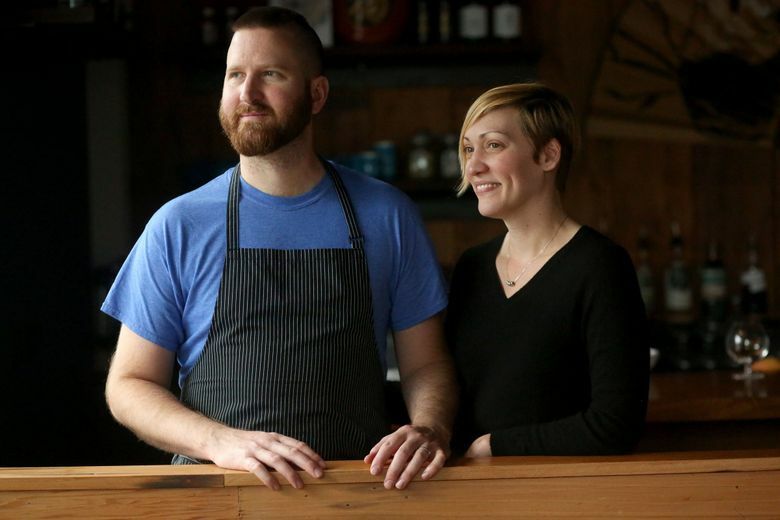 The husband-and-wife proprietors are Travis Post, the chef, and Zack, the general manager. The food explores the cuisines of Sichuan and Yunnan, adjacent provinces in South Central China where they’ve both had opportunities to travel. 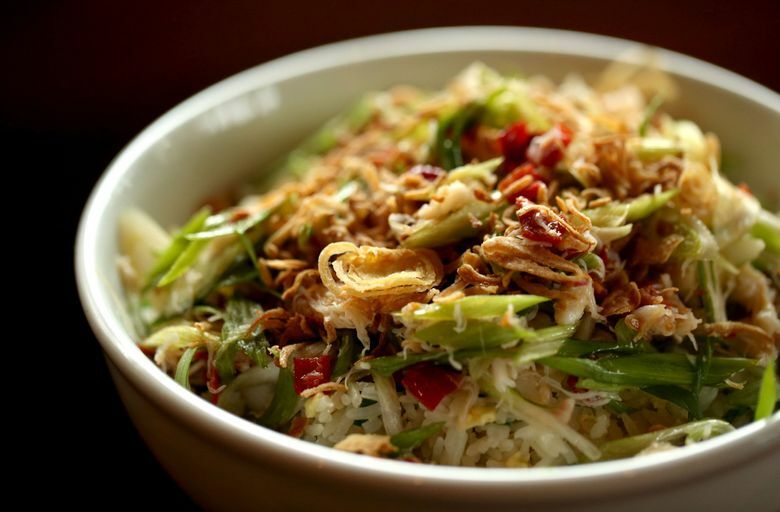 The menu of fewer than two dozen dishes is illustrative of those regions, not exhaustive. Post isn’t as much pursuing authenticity as he is interpreting food he likes. Post and Zack are both 36. She has a degree in fashion design from Syracuse University. He graduated from the Culinary Institute of America. They met working in restaurants in New York City, where they helped launch Yunnan Kitchen before relocating to Seattle with the idea of starting their own restaurant. 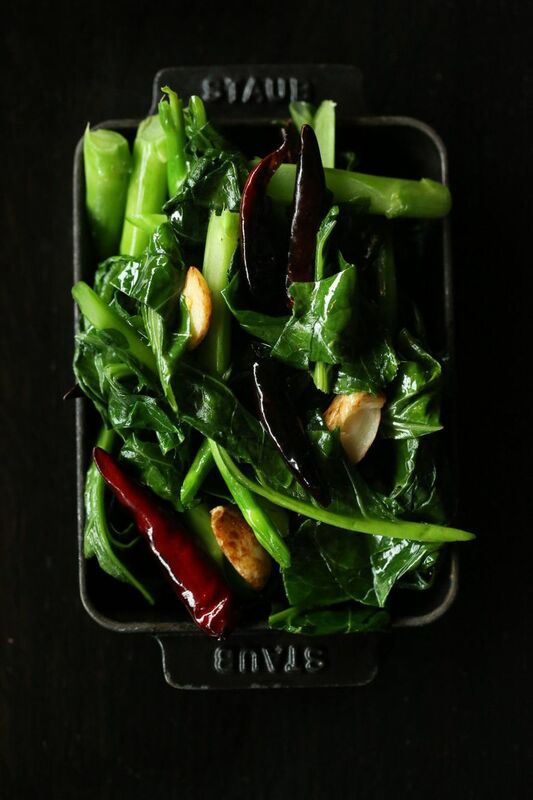 Post’s fascination with Chinese cooking began as a kid watching “Yan Can Cook” on PBS-TV. He learned dumpling-making as a teenager, taking cooking classes at a tiny Asian grocery in Arizona, where he grew up. 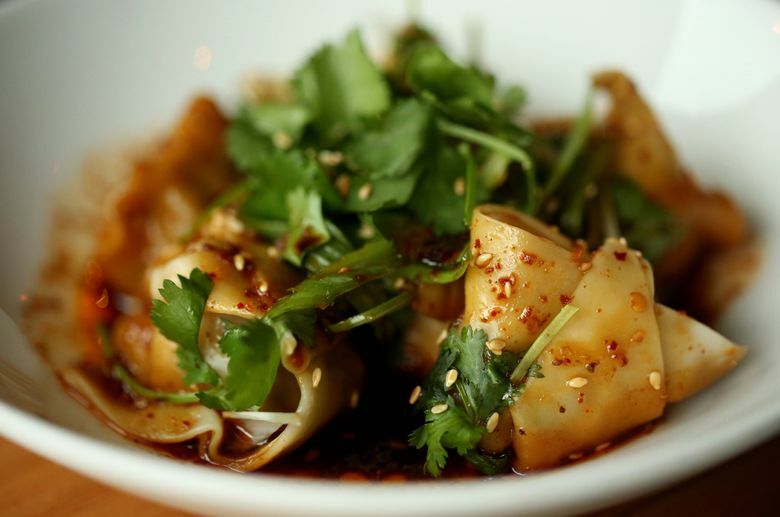 The Sichuan pork dumplings at Plenty of Clouds outsell every other dish by 2-to-1. Who doesn’t love a good dumpling? His are very good indeed, folded into plump, squared-off packets swabbed with chili oil. 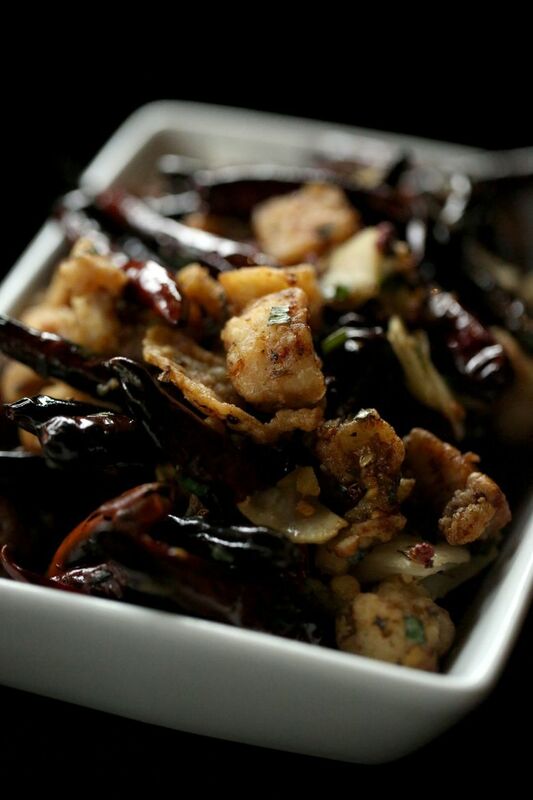 A misconception about Sichuan cooking is that it’s all about the fiery, numbing heat from Sichuan peppercorns and dried chilies — what’s referred to as “ma la” — but the cuisine incorporates more than 20 signature flavor combinations, with such poetic descriptors as “mouthwatering,” “fish fragrant” and “strange flavor.” Each has its own complexity. There is plenty of ma la in “Not Your Ma-Po’s Tofu,” but you also taste the sweetness of leeks and the salty twang of doubanjiang (fermented bean paste). Soft tofu cubes and fried strips of it combine with minced pork and crispy fried pork belly, resulting in multiple textures. I couldn’t stop eating it. That play of textures is important in Chinese cooking and Post has got the hang of it. “Strange-flavor cauliflower and eggplant” is based on a classic eggplant dish. 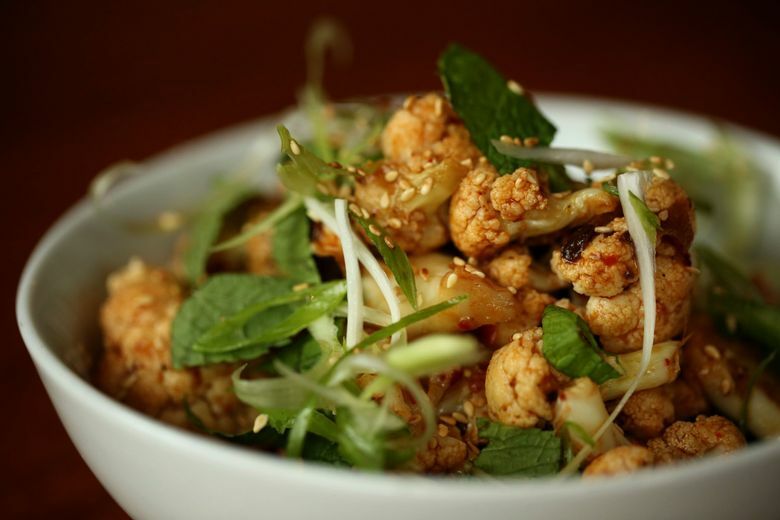 In his version, the eggplant is emulsified with black vinegar, soy sauce, garlic, ginger and chilies into a sauce for crisp cauliflower. Cumin takes the lead in another Sichuan mainstay, cumin lamb, but cherry tomatoes and grassy chrysanthemum greens offer fresh counterpoint, and nuggets of deep-fried steamed bun become the most amazing croutons. Other delights: piquant pickled chilies ruffling sweet Dungeness-crab fried rice; pickled kohlrabi amid bite-size morsels of dry-fried chicken; the lightness of salt-and-pepper shrimp and squid; and bright green crispness of garlicky water spinach. Most of us in this country are more familiar with Sichuan than Yunnan cuisine. Because it’s influenced by so many ethnic minorities, it’s difficult to generalize about Yunnan, but the province is known for its dry-cured meats and many varieties of wild mushrooms. Post includes mushrooms of many sorts and sizes in a dish of rice cakes with pressed tofu and cabbage. Bits of cured ham flavor a light tomato sauce in another version of rice cakes. One of the liberties he takes is swapping country ham from Benton’s in Tennessee for the Chinese ham he can’t get here. As with Sichuan food, Yunnan cuisine can be very spicy. Bird’s eye chilies fired up a tartly dressed tangle of pea shoots, dried beef and fava beans. Both the beef and favas are fried, adding crackle and snap to the chilies’ pop of heat. It’s a great salad. Sichuan is called the land of plenty. Yunnan translates as “south of the clouds,” thus the amalgamation, Plenty of Clouds. Despite the name, dinner here is no bumpy ride. Under Zack’s watchful eye, service is alert and smooth. Waiters eagerly converse about the food and drink. One supplied hilariously accurate tasting notes on baijiu, the high-octane, sorghum-based liqueur cherished by numerous Chinese. Interest piqued, we sampled four. Eight dollars bought a quarter-ounce of each. They ranged from rotgut to the more refined. For $20 you can taste top-of-the-line Kweichow Moutai, whose logo is on the pinky-sized stemware. If you like it, a 2-ounce carafe is $160. Zack and Post, who collaborated on the drinks list, managed to work baijiu into a cocktail with grapefruit and lime called “Ernest Goes East.” I’ll stick to the pleasantly tart “Sour Not Sorry,” bourbon and lemon under a thick cloud of tamarind foam. Four kinds of Chinese tea are offered by the pot, including Yunnan’s renowned aged and fermented pu-erh. The sky-blue teapots are among the personal touches here. They are bright spots of color against the honeyed wood of the walls, the tabletops and the pantry shelves that flank the kitchen’s butcher block prep counter. Zack designed the bamboo pattern stenciled on the dining room’s support pillars. Using photos the couple took on their China jaunts, menu artist and muralist Dozfy sketched pandas on a large fan that hangs above the bar. Plenty of Clouds is a restaurant, but it feels a lot like you’re eating in their home.